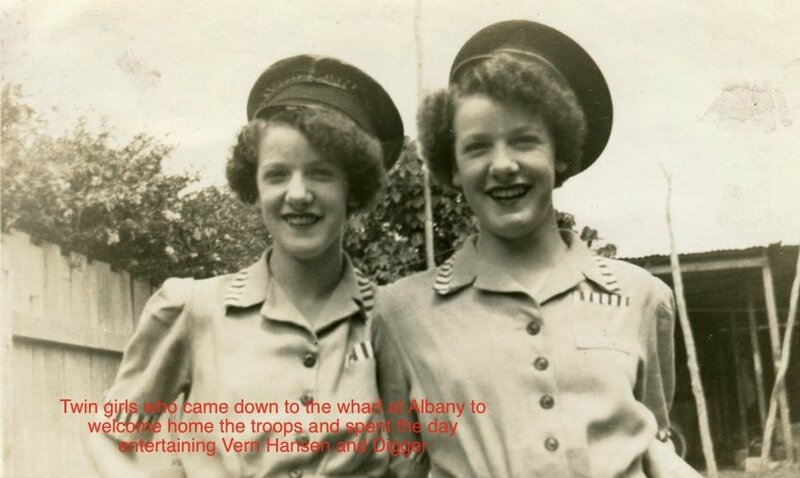 When David and a mate Vern Hanson returned from their war on the HMHS (His Majesty’s Hospital Ship) Karoa they put in to Albany, Western Australia. "Vern and I had hardly descended the gangway when twin sisters grabbed us and hustled us away from the crowd and into the town. We spent the whole day with them. They showed us the city sights, took us to cafés and then to their home for dinner. We had a terrific two days. It really felt good to be in Australia again." In the group photograph David is the one with the cigarette. The first person who recognises these young girls—who will now be lovely old ladies—and gets in touch with us, will win a free copy of Digger's Story at the very least! Note: Click on the photos for larger versions. 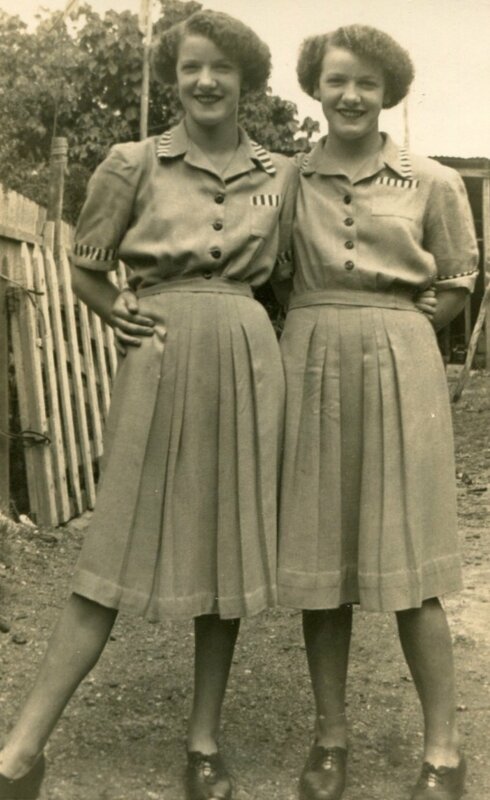 There were two relatives or friends of Doreen and Marjorie Catt (who the twins turned out to be) that recognised them and were able to add to our story. They each received a free copy of Digger's Story. 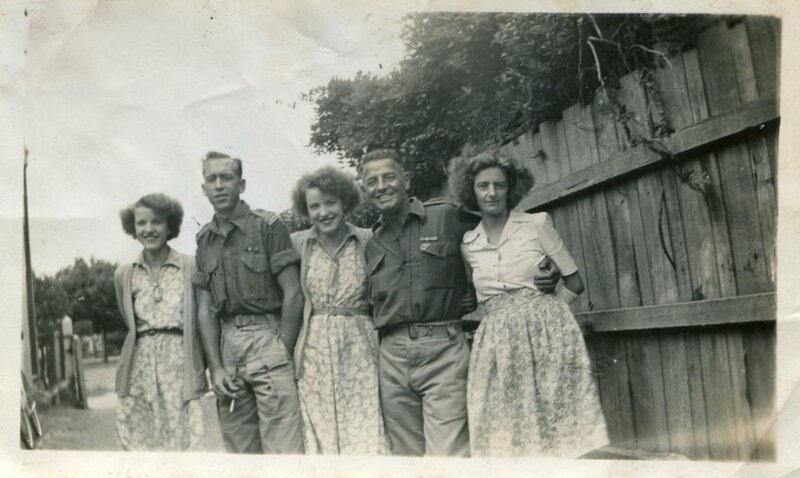 We now know that Digger and his friend Vern Hanson met with Doreen and Marjorie in 1945 in Albany, their first port of call in Australian after almost 4 long years of war and imprisonment. 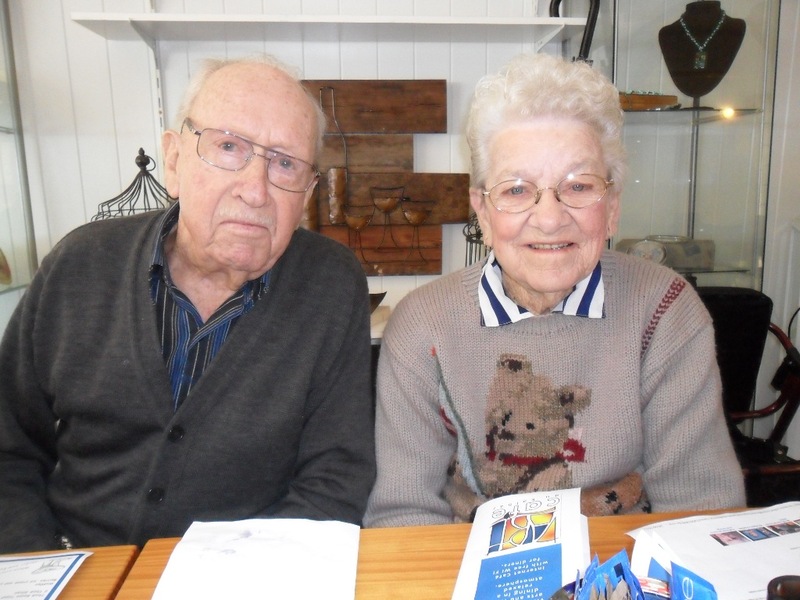 David was able to call on Doreen, the surviving twin, with her husband Raymond Cattell, just outside Brisbane in Queensland at Kalbar on Monday 2 July. They had a great afternoon spent reminiscing about their original meeting all of 67 years previously.